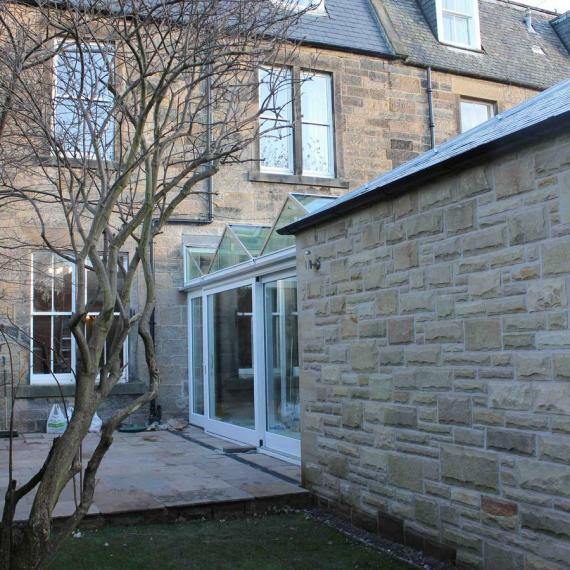 A single storey extension to the rear of a listed Georgian property this project includes two very distinctive parts. 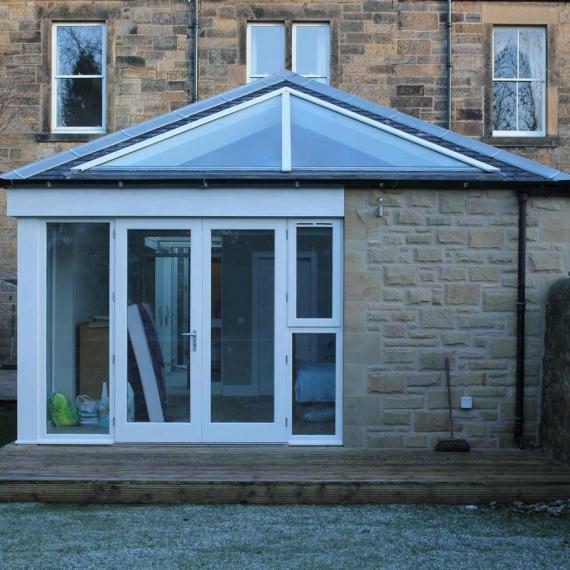 The first is a feature pyramid roof structure which covers the new bedroom wing, all formed in timber with concealed steel connections. 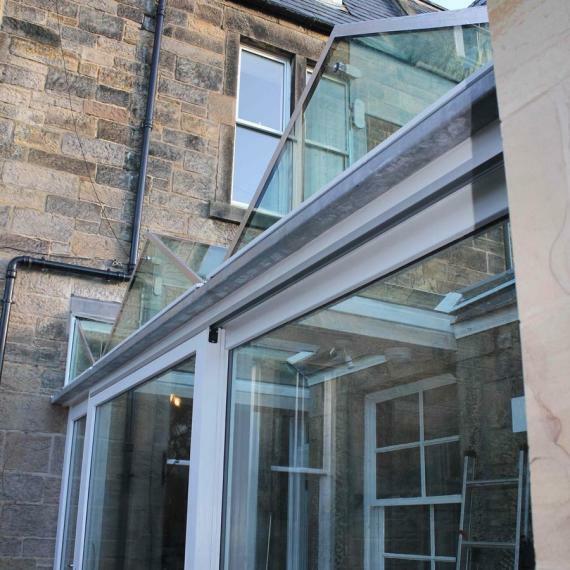 The link between new and existing was bridged by a glazed double mono pitched roof utilising glass ridge beams and stub columns. 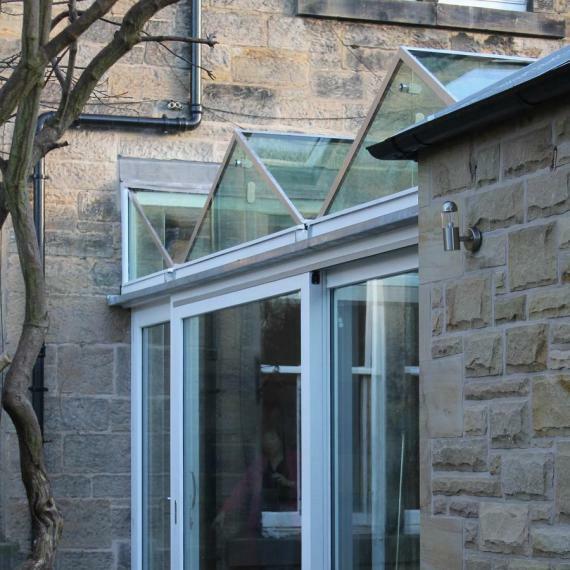 CRA were responsible for the design of all elements including the structural glazing.